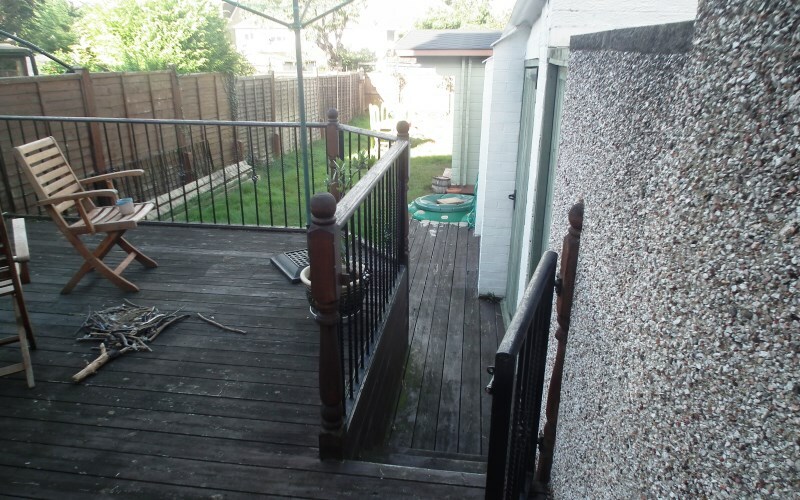 The deck outside my clients doors felt a little like a cage, their four year old twins had no freedom to play. 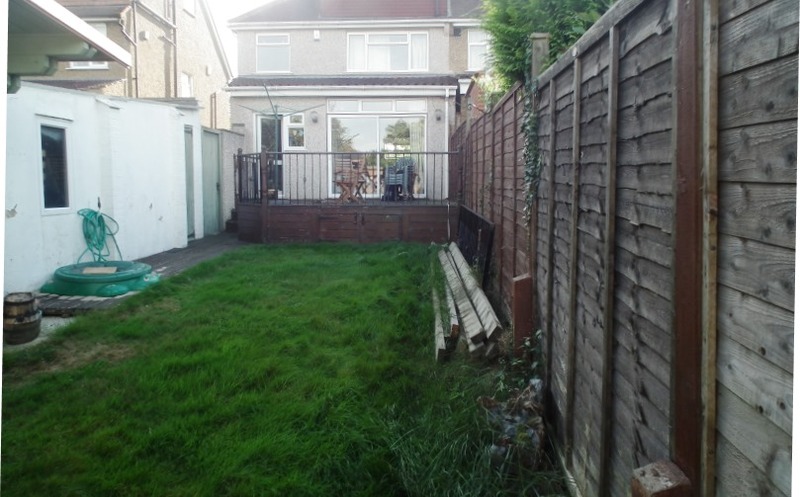 This garden was in need of a make over, it simply wasn’t working for the clients. Both self confessed non gardeners, they didn’t know how to get the best out of their space. 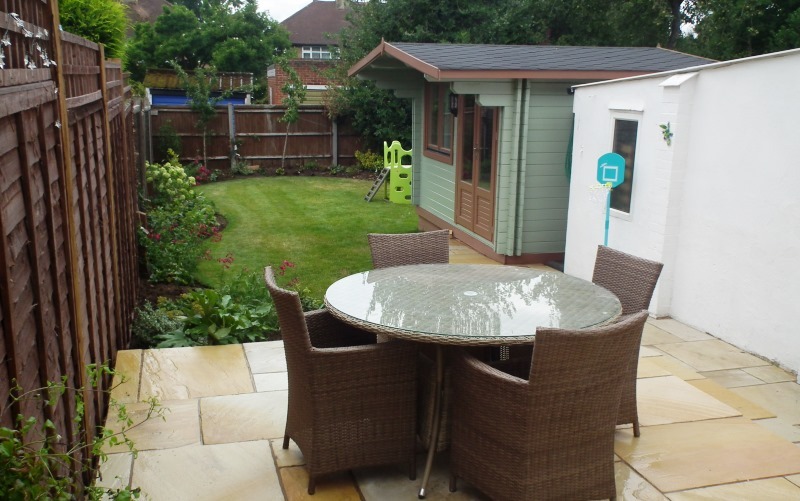 A garden office had been built and needed a path, but the main issue was the deck. 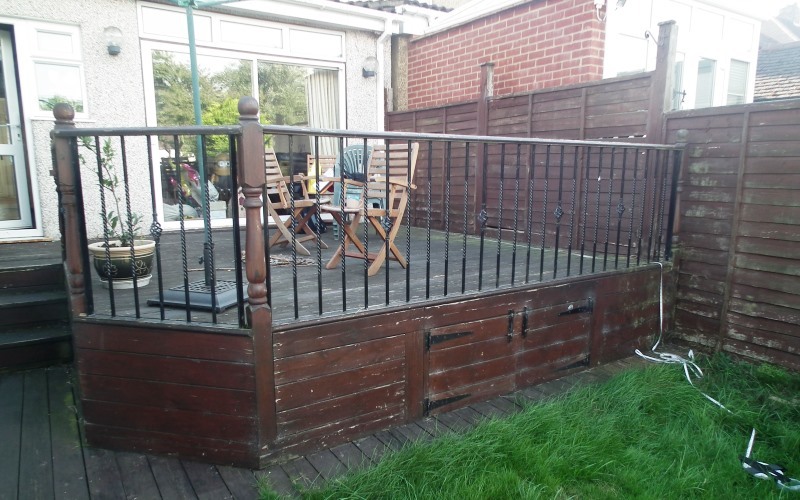 The deck was in need of repair and the client felt that the wooden steps were becoming treacherous. 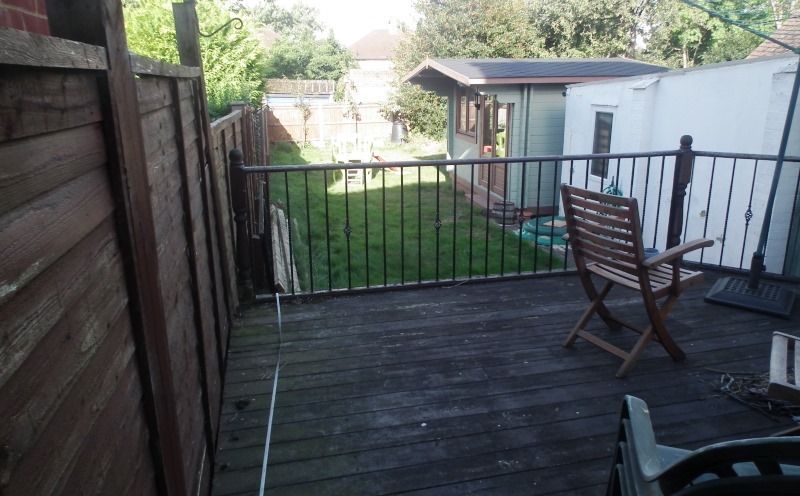 The railings were acting as a barrier to the rest of the garden, which was barely used.The lawn was uneven, and met the fence making it very difficult to mow and keep neat and the garden felt like a real chore. 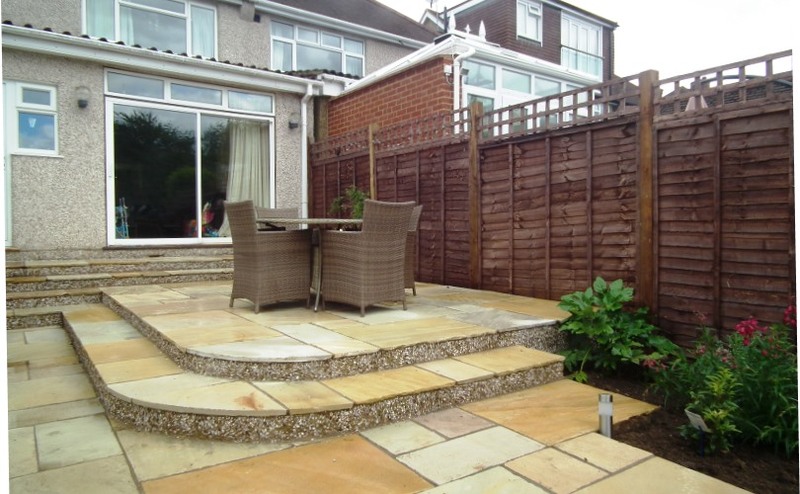 My clients main was to have a garden that was easy to look after, orderly, with plenty of room to entertain and freedom to play. It was important also to avoid any plants of the Aster/daisy family as a there was a serious allergy in the family. 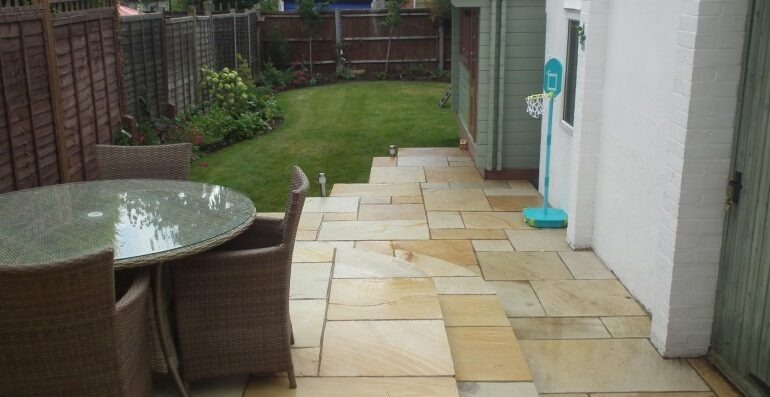 My main aim was to design a garden that all the family could use and enjoy, happily and most importantly safely. As the house was over half a meter above the garden, steps down to the garden was a priority, each was deep and wide to ensure no slipping or tripping. I wanted to achieve a large as possible space outside the patio doors where the whole family could eat, play and relax. The new sandstone path extended down to the garden office, meaning access was possible in all weathers. 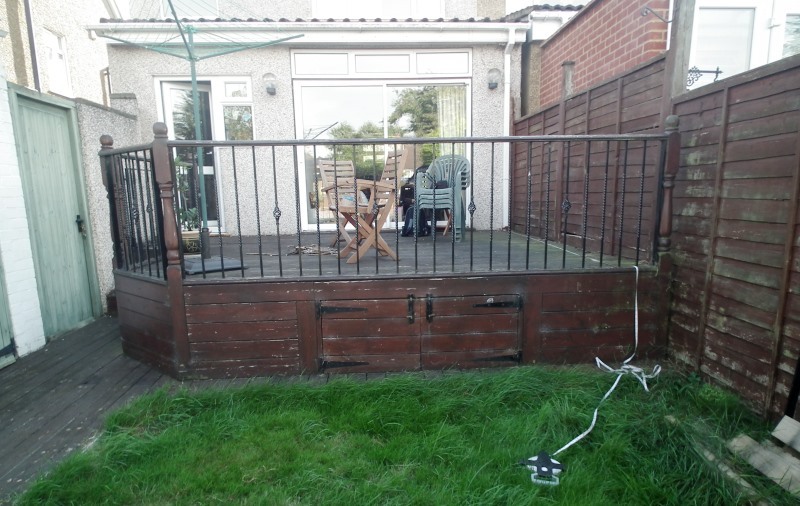 The main patio area was large enough for the family garden table and a small flower bed was built to allow climbing roses and clematis to soften the fence area. 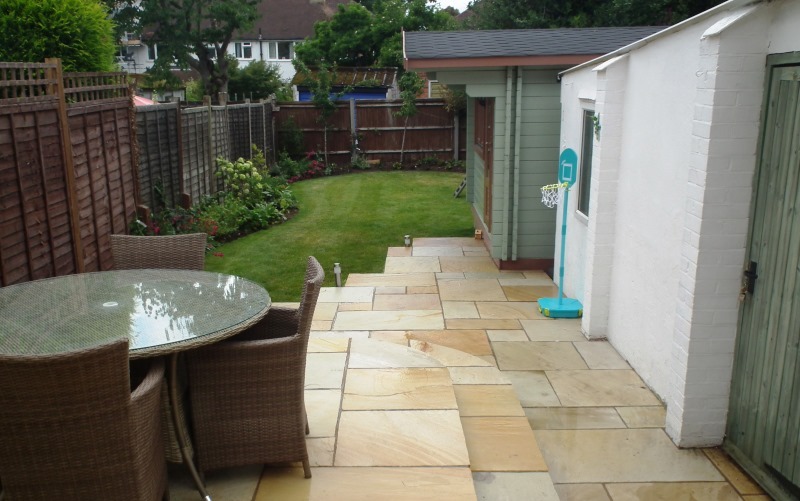 The size of lawn was important to allow space for the climbing frame and a paddling pool and games. 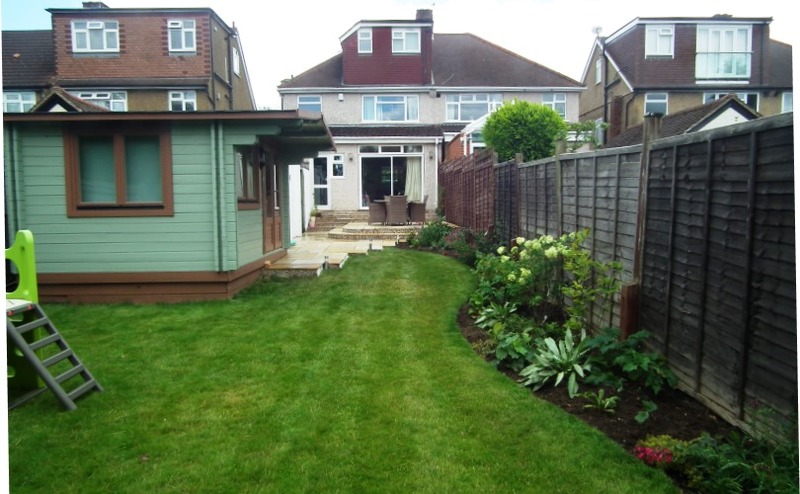 The lawn was edged with metal lawn edging, to make mowing simpler and quicker. I designed a simple planting plan, within curved beds with easy to look after shrubs and perennial plants. 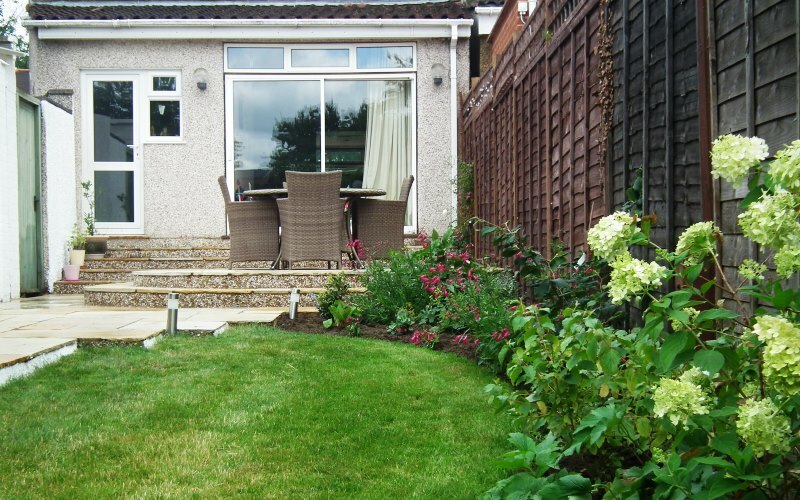 I also supplied a maintenance plan that would give monthly jobs to do in the garden, to help the clients maintain the gardens themselves. Finally the Garage walls were re-rendered and painted to give a new clean look and make the whole patio area clean and bright.